We spent over 28 hours researching and testing 12 different types of car waxes and found that performance, shine, and ease of use were most important. The Meguair Gold Class Carnuba Car Wax scored high marks in all categories and is our top pick. It is very easy to clean and dries quickly too. No waiting around while the wax drives. It’s easy to apply and will produce a beautiful shine and reflection every time you use it. Using this quality car wax will improve the look of your car while protecting the paint job. While every product may vary in terms of secondary priorities, each car wax that is worth your money has two major sets of goals – those of aesthetics and those of protection. By aesthetics, I refer to any given wax’s ability to give your car a nice and new shine. Such a shine typically carries no inherent level of protection, though it keeps your car looking as good as new. When going to the car wash just can’t seem to bring your vehicle back to life, odds are it just needs a good waxing to retain the look it had straight out of the dealership. When I speak of protection, I am referring to a car wax’s ability to protect your car from further damage. As an added bonus, this will also go on to increase the aesthetics of your car in the long run through reducing the rate at which is gets damaged from flying debris. If you’ve ever run on a freshly-waxed floor, you can imagine how any damaging materials (such as salt) will simply fly right off of the car. Of course, you will only get to experience such benefits if you purchase the right type of wax to begin with. The Gold Class Carnauba is a car wax whose main priority seems to revolve around aesthetics. While it will certainly offer the type of protection one could expect in a car wax which carries any degree of quality, this trait pales in comparison to the amount of emphasis that the manufacturer has put on giving your car the best shine possible. This is apparent right after applying the wax to your car. It is also said to be very easy to clean. While some waxes may have you waiting around all day for them to dry, you’ll be able to drive your car almost immediately after applying you Gold Class Carnauba. 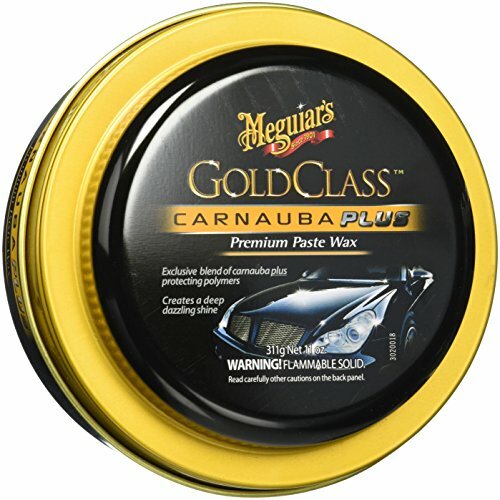 If you’re simply looking for a great all around wax, you’ll easily appreciate what the Gold Class Carnauba has to offer. However, its strengths will be much more apparent if you’re looking for an easy way to dramatically increase the aesthetic appeal of your car. 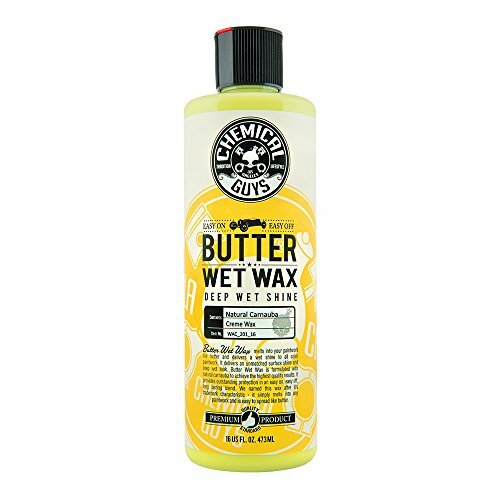 It has a quick drying time, it’s relatively easy to apply and it gives a great shine and reflection every time. For getting your car looking as good as new, look no further than the Gold Class Carnauba. Despite its name possibly suggesting otherwise, Car Guys will likely be most suited toward you if your main priority is keeping your car looking fresh in the long term through a superior level of protection. I won’t say that your newly-waxed car will go unnoticed from an aesthetic point of view, though I’ll note that you’ll likely most appreciate it if you want a wax with a more practical function. You could almost consider Car Guys as being the exact opposite of the Carnauba in terms of where its priorities lie. While Car Guys may not be the most precise wax in terms of application (it is, in fact, liquid), you’ll likely find it to be less of a hassle overall, being that it lasts a long time and future applications will likely be spread out quite a bit. My personal favorite aspect of this wax is its superior and long-lasting protection when stacked up to nearly every other wax on the market. It’s nice knowing that you car will remain protected from its last coating of wax, even if you haven’t found the time to apply a newer coat in the last little while. The WAC20116 meets somewhere halfway in between the two above car waxes. You likely won’t find it to offer the absolute highest amount of protection, nor will you find it the very most aesthetically pleasing of all car waxes on the market. What you will find; however, is that it does a job in both regards, in which in could easily be considered as being above average. 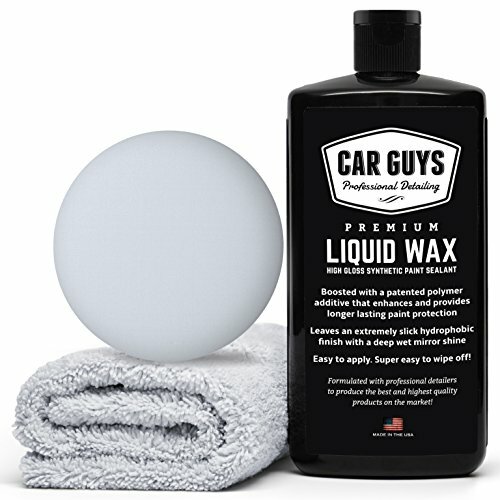 You’ll likely most appreciate this car wax if you simply want to get the job done and don’t care about any specifics regarding the wax you choose. One area where it truly sets itself apart from other car waxes is in its application. If you’ve used other car waxes before and find yourself switching to the WAC20116 at some point or another, you will most definitely be pleased with the amount of time and effort you’ll save through applying the wax. Despite its extremely easy application process, it still does a great job in terms of making your car look as good as new, as well as keeping it looking as good as new through its good overall level of protection. It is a well-rounded wax at a very agreeable price. There’s no question as to whether or not any of the three above waxes are of the utmost quality. In fact, whether you’re looking for a high amount of protection or a great degree of aesthetics, you’ll find all three waxes to perform above average in all factors, even if each one has its own specialty. As such, you could really get away with picking any of the three waxes, no matter your main priority. In this sense, you’ll find each of the waxes to be a very safe purchase, being that you can be sure it will get the job done; no matter what job needs doing. However, if you truly want to get the best bang for your buck, it can’t hurt to be somewhat more selective in which of the above car waxes you end up buying. For a sleek shine, Carnauba is an excellent choice. If it’s a high level of protection you’re after, the Liquid Glass is sure to give you what you’re looking for. If you just can’t decide, would like a balance of the two or hold convenient applications in high regard, the WAC20116 is likely just what you need. What is a Car Wax? Unlike hair products or windshield wash, going into car wax shopping with the right mindset and the right set of knowledge can translate to up to thousands of dollars in savings. Being that the vast majority of us have spent five figures on our last car purchase, not knowing which type of car wax is best able to take care of your car can be a rather frightening ordeal. As such, it helps to take the time to do a bit of online research prior to picking up the car wax you end up deciding to go with. This being the case, the following review will aim to illustrate just what it is that makes a car wax worth your money. We’ll look at several characteristics to look for in the perfect wax, how one wax varies from another and three examples of what could easily be considered the best car waxes on the market. But first, it seems suitable to take a quick rundown on car wax as a whole. Of course, you needn’t feel limited to the above three brands of car wax. There are a wide variety of similar products on the market from which you may choose. Before doing so; however, take a look at the following list of factors which should be considered before settling on a final purchase. What’s more important; a nice shine or great protection? There is no right or wrong answer to this question. While the vast majority of car waxes can offer you a nice shine and an extra level of protection, some will focus more on one than the other. You’ll want to know just what it is you’re trying to achieve before going into shopping. How often are you willing to wax your car? Each car wax has different requirements. While some will have you applying coats on a fairly regular basis, some will last for quite some time before a new coat needs to be applied. Is a large convenience factor important to you? While some waxes can be applied with little concentration or effort whatsoever, others will demand a bit more of your attention. Know how much time you’re willing to put in before buying a wax. There are several types of car wax available on the market which usually fall into one of three main categories: solid wax, liquid wax and paste. Each type has its own pros and cons. Do you know which type you need? Liquid Wax – Liquid wax is by far the easiest to apply to your car. It will often come in a spray bottle of sorts which may resemble that of an indoor Febreeze container. Of course, coating your car with such a wax is a very easy process. On the other hand, it may be easier to miss any given nook or cranny on your car’s exterior with the wax, being that it is much less precise. Solid Wax – If you don’t mind taking a bit of extra time in the hopes of coming out with better results, solid wax is the car wax for you. While it may not be as easy as using a spray bottle, you’ll be able (and required) to pay more attention to every little detail. Paste – When liquid wax seems too sloppy and solid wax seems like too much of a hassle, paste is sure to give you what you’re looking for. While solid wax and liquid wax sit on either side of the spectrum, paste sits right in the middle. As you can see, the rate at which any given car wax varies from the next can actually be quite large. Typically, each type of wax is more suitable for a different type of person. Despite this, there are a few features which everyone should look for in their next car wax, no matter their personal preference or main priorities. A Spray Bottle – This only applies to liquid waxes. Assuming you get such a wax, it simply makes no sense not to have a spray bottle. A Quick Drying Time – There are absolutely no downsides to a quick drying time. The quicker a wax dries on a car, the better. While it may not be the most important factor to watch out for, it’s certainly a nice bonus. When it comes to car wax, you really have a whole lot of wiggle room at your disposal in terms of how the wax you pick will end up affecting your car overall. Whether you’re looking for a great shine or whether you’d simply like to save some money in the long run through keeping your car protected from flying debris, picking up a tube or canister of car wax is always a great idea. Remember, the most important deciding factor in terms of choosing between two different quality car waxes is what your main priority is. Do you want as much protection as is possible or as much shine and reflection as you can get? While every quality car wax will offer a bit of both, it’s not always possible to get the very best of both worlds simultaneously. It’s also a good idea to look out for waxes which feature some of the expected characteristics you just read in the above list. Keep these considerations in mind when shopping for car wax – whether from the above list or at your local hardware store – and you’re sure to walk away with a well-protected, healthy-looking car in no time at all.